I spent my bank holiday Monday in a constructive manner ..window shopping A/W’s finest offerings. It’s finally starting to feel like autumn outside and I love autumn/winter clothes! Today I popped into an awesome new(ish) vintage shop Tola Vintage which is in Temple Bar. They had lots of gorgeous things including the autumn staple checked flannel shirts. While I was in Paris I visited a kilo store in Paris St Germain which had loads of these shirts. I wanted to buy one but I already had more than a kilo of clothing so had to say no/ This is a cropped shirt so not the most practical for winter. 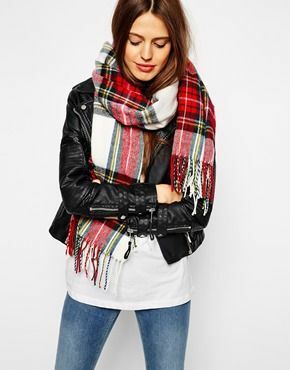 Urban Outfitters have loads of check shirts (or plaid if you speak American) in different materials. Below are two that caught my eye while browsing. Both shirts are from the “Urban Renewal” range. These are items that are upcycled from old clothes and transformed into a new garment. I spied some amazing scarf-print halter tops with fringe trimming also which I will have to revisit. 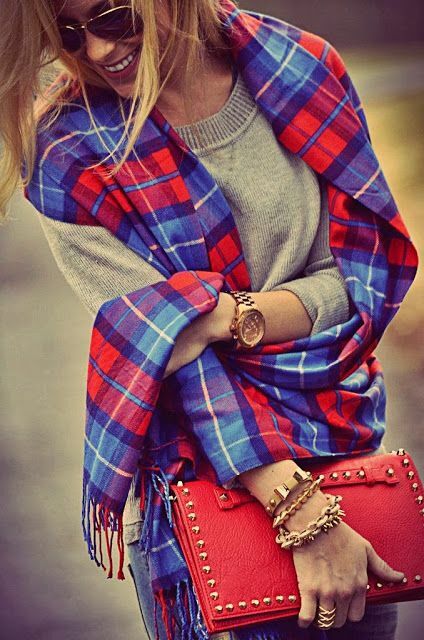 Check scarves and oversize scarves are the accessories of the moment. Here are a couple of beauties I found on Pinterest-the bigger the better! Grid lines are a modern alternative if you’re not a fan of checks. They look best in monochrome like these Vero Moda tshirts below. 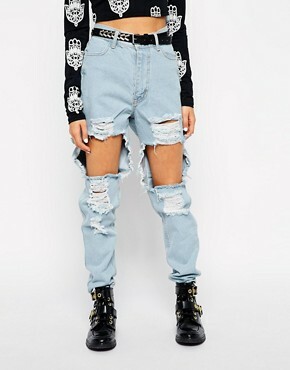 If you’re unsure about this trend, try a simple style like these Asos ripped knees below. 1. Mark the area with chalk where you want to rip. 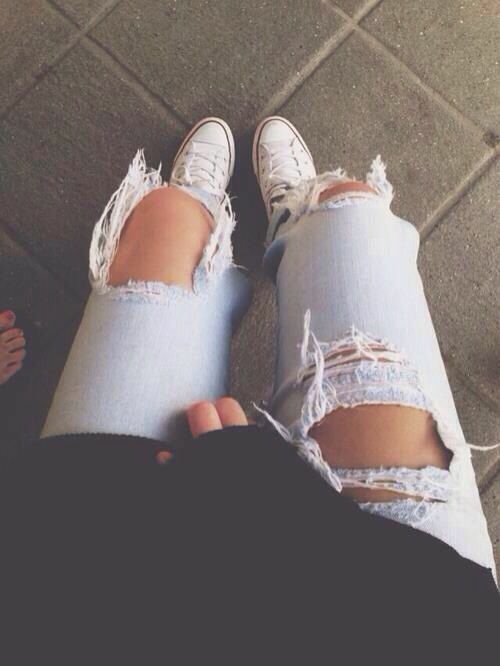 Rips generally look best on the knees and mid-thigh area. You will need to place a barrier inside the leg of jeans (like a piece of wood) to prevent any rips or tears going through to the other side. 2.Use a wire sponge, cheese grater or any abrasive item and run it over the area you want to distress. Have patience-denim is a thick material that takes time to wear down! 3. As the denim begins to fray, use your fingers to pull it at the white threads that will appear to create a distressed look. These will fray more with washing so don’t go too mad! 4. Finally take a scissors (or serrated knife) and score the edges of the holes with the inside of the scissors NOT the tip. It’s very important not to use the tip of the scissors as it will destroy the “distressed” effect. You want the edges to be ragged and uneven so use the inside blade of the scissors to achieve this. If that’s all too much effort and you want extreme rips try these bad boys from Asos below. Massive holes in your jeans aren’t the most practical item you could buy for winter in Ireland but they’re just so cool! Ripped jeans used to be the ultimate in tacky clothing but they’ve now evolved into an everyday staple. To keep them looking classy, cover up on top and wear flats, plimsolls or Converse are best. 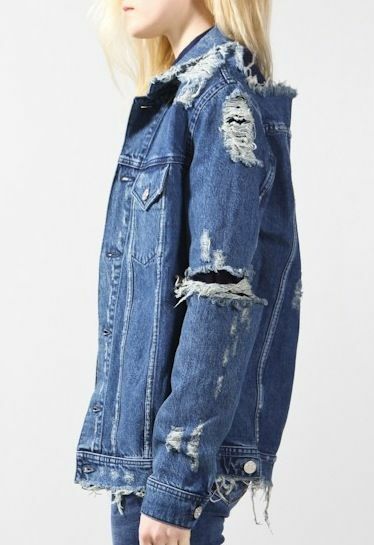 Denim jackets also look amazing when ripped and shredded..get creative and see what you come up with. 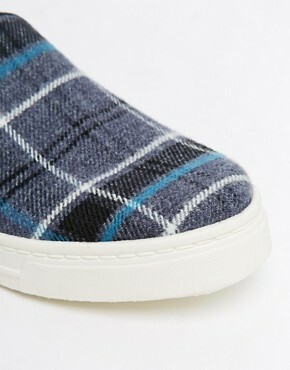 As for the shoe of the season, the plimsoll is still going strong. Once plimsolls were “indoor shoes” in national school, they now come in a multitude of styles, colours and textures and are anything but boring. Here’s a few I really like. These lovely velvet Missguided shoes are available in red and navy at only €22. Hope you all enjoyed this post. 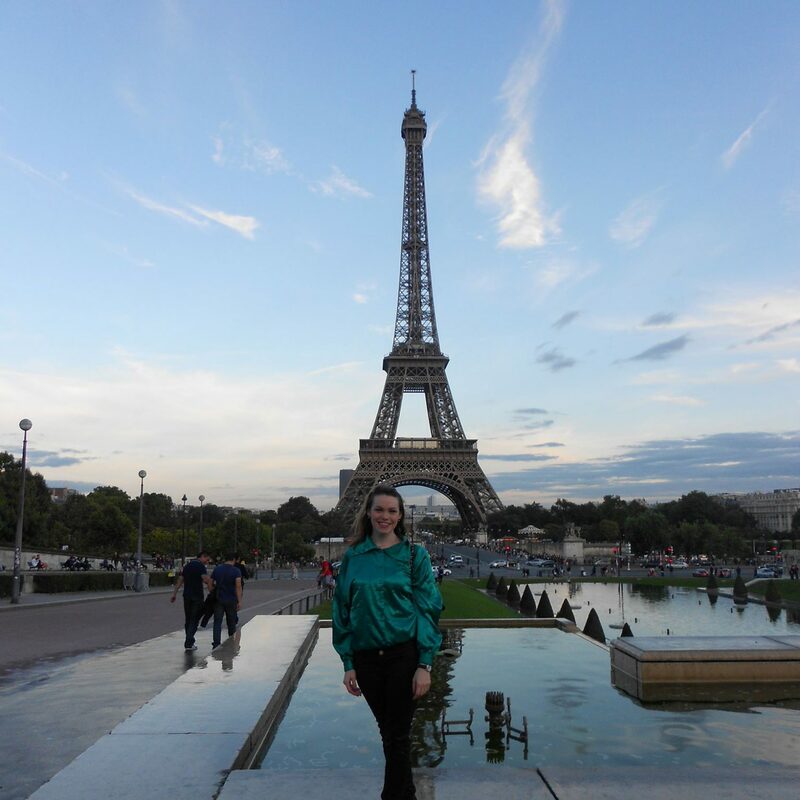 I hope to be writing again soon and I’ve started a separate blog for non-fashion related topics. Thank you for dropping by my blog and forget to check out my Instagram, Twitter and Facebook page here.